The Chinese currency renminbi (RMB, also known as the yuan) “has ascended to the world’s fifth most widely used payment currency”, an HSBC survey has shown. The survey, Renminbi Internationalisation Study 2016, found that corporations are more than ever introducing the RMB into their treasury and “integrating it across various business applications each year”. China’s currency has been gaining popularity and traction in the past few years. In October, the RMB was included in the International Monetary Fund’s (IMF) new Special Drawing Right (SDR) currency basket. The decision to add the yuan to the IMF’s basket of four reserve currencies, known as Special Drawing Rights, or SDRs, was taken last December. SDRs are global reserve assets established in 1969 to supplement member countries’ official reserves. “The renminbi will be considered by the international community as a freely usable international currency, and will join the basket of the Special Drawing Right together with the US dollar, the euro, the yen and the British pound,” IMF chief Christine Lagarde announced in October. This has pushed the RMB to the front of global financial transactions especially in import/export, trade financing and liquidity management, amid others. The HSBC survey examined RMB use in 1,600 corporations spanning the Middle East and North Africa, Europe and North America, with the bulk in the Asia-Pacific region. Cross-border trade and Chinese rules and regulations have been eased sufficiently to make the RMB’s use more favorable. This has translated to statistics of usage with 24 per cent of global companies today using the RMB for cross border business, compared to 17 per cent in 2015, the survey says. However, the HSBC study does warn that the RMB’s popularity and use depends on Chinese market stability. 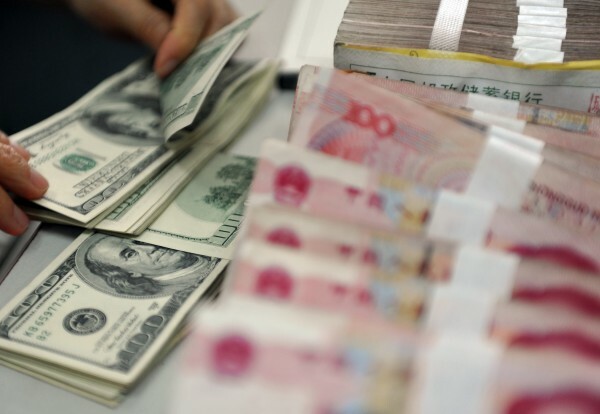 The study found that the trend of increasing use of RMB among global companies has fallen since 2015 due to China’s slowing economy, losses on the stock exchanges, and the currency’s volatility against the dollar. While this has had an impact on global RMB usage, there has been market-oriented stability in recent months. cross border business, followed by North America (48 per cent) and Asia-Pacific (39 per cent),” the study concluded.